A BBC Radio 4 Book at Bedtime. The new novel from Orange Prize listed author Patricia Ferguson, is a deeply moving tale about two sisters and the young black orphan who changes their lives - for anyone who loves Call the Midwife or Andrea Levy. "Violet Dimond", the "Holy Terror", has delivered many of the town children - and often their children - in her capacity as handywoman. But Violet's calling is dying out as, with medicine's advances, the good old ways are no longer good enough. Grace, Violet's adopted daughter, is a symbol of change herself. In the place where she has grown up and everyone knows her, she is accepted, though most of the locals never before saw a girl with skin that colour. For Violet and Grace the coming war will bring more upheaval into their lives: can they endure it, or will they, like so many, be swept aside by history's tide? A moving tale of prejudice, struggle, love, tragedy, bravery and the changing lives of women in the twentieth century, "The Midwife's Daughter" grips the reader all the way to its heartstopping conclusion. Praise for Patricia Ferguson: "Strong, affecting, vividly depicted...It is a pure pleasure to read". (Lionel Shriver, "Telegraph" (on Peripheral Vision by Patricia Ferguson)). "One of the most brilliant novelists around...funny, gripping, wonderfully shrewd". ("Independent"). 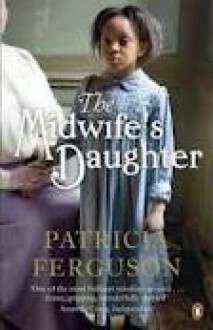 Patricia Ferguson trained in nursing and midwifery, and her first book, "Family Myths and Legends", won the Betty Trask, David Higham and Somerset Maugham awards. Her most recent books, "It So Happens" and "Peripheral Vision" were both longlisted for the Orange Prize. She lives in Bristol.